If you are implementing SEO for your website, it doesn’t do much unless you select the right keywords for your link building campaign. There are 7 important stages in selecting ones in terms of SEO & ROI. 1. Who Is Your Targeted Audience? 2. Where Is The Most Traffic? Create a list of words with the help of SEMrush tool. Then insert your list into the Google Keyword Planner to find the most searched keywords. Use the synonyms feature to get more ideas. If there is a lot of traffic (in thousands), focus on the exact match only. If there is not, then look at the phrase matches. Having analyzed the whole bulk you will be able to define the most popular search queries and choose them for optimizing your site content. Rank the analyzed words and phrases in the hierarchy of traffic, export them into an excel spreadsheet and highlight the ones you would like to rank for. 3. What Keywords Are The Least Competitive? The easiest way to select the least competitive keywords is to use those key phrases, which contain at least 3-4 words. All 1- and 2-word queries have HUGE competition. If you’re on a tight budget, focus on long tail keywords (which contain 4 or more words). For example, if your initial desired key phrase was ‘link building’, but it is too competitive, you may want to switch to, for example, ‘link building service USA’, or ‘quality link building services’. So, how to choose keywords? Just analyze the traffic for different variations of such phrases for finding words that may bring maximum visitors to your resource. Always check the competition of your words using our Free SEO Cost Calculator. Submit as many phrases as you have; in this case, you’ll have more chances to find more affordable and less competitive search results. There is a tricky way that can allow you to increase your traffic for 1,478% from Google, and, at the same time, get to know how to choose keywords that are more affordable keywords and save your budget. 4. 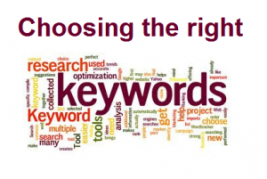 How To Choose keywords For SEO That Are The Most Profitable? Are people, using your selected search phrases, looking to buy something? A phrase like “Swiss watches” may have 10x more traffic, but a phrase like “buy a Swiss watch” will bring in the bucks with a higher ROI and will take a much shorter time to rank. Use your head together with machine analysis of keyword efficiency. This is the best method of how to choose keywords for SEO that will bring maximum profit in future. Here’s a simple tip that could easily save you 12 months of work: setting up an effective SEO campaign in a competitive market can be a long, drawn out and expensive process. Worse yet, if you are focused on the wrong phrases, you might need to start over again after you find out that your site is not producing the results you want. An easy way to avoid needing to start over is to test the value of your selected words before you heavily commit to your SEO strategy. Buying PPC from Google AdWords allows you to see what queries drive traffic to your site that converts to leads and clients! Many people waste thousands of dollars to find out later that their search phrases don’t bring them the right audience. Test your keywords in AdWords to avoid that. Select a few main phrases, which you want to rank high and focus on them until you get the 1st place on Google for each of them. Don’t invest in more than 5 main words at a time unless you can afford that or if your search phrases are long tail keywords (with very low competition). One of the biggest mistakes of many SEOs is trying to reach high rankings for 10 or more highly competitive queries at once with a low budget.How to choose keywords for SEO to get into the Top 10 of Google, is to target long tail keywords because they are much less competitive, more profitable and less risky. And plus they can bring you the same traffic as a short query if you invest in these long tail keywords the same amount of money. OPTION I. You can target a very competitive short keyword that requires, for example, 1000 backlinks to outrank your competitors. And you’ll be getting, say, 10,000 of visitors per day when you’re #1 on Google for it. You’ve got a lot of competitors and everyone wants to get high rankings for that short keyword (because it is one of the most popular in your niche). So the competition becomes stronger and stronger from day to day. You acquired 1000 backlinks, your competitor – 1100. You 1200, he – 1300, and so on. So you’ll have to spend more and more and so your profit from it will become less and less. From the other side, a very little number of people know that choosing keywords among long tail queries is more profitable, and so, very little number of companies struggle for long tail keywords. Plus, there is very small number of short phrases in any niche and tens and even hundreds more long tail ones in each niche. Using a long-tail keyword finder you always have a lot of options to try, choosing minimum competitive keyword phrases with promising SEO potential. So even if someone else also targets long tail keywords, there is a very low probability that he’ll be targeting the same ones as you. So, once you acquired 5 backlinks for your long tail keyword and reached #1 on Google, you may stay there for years before someone else outranks you. That’s why it is much more expensive to compete for short keywords and much more profitable – for long tail. Because of the strong competition, you can lose your position for the short keyword at any time! If you lose your position for just that one, you’re in a risk to lose your entire business since you invested a lot of funds in it. From the other side, if you’re #1 on Google for 200 long tail keywords and someone even outranks you for several of them, this won’t influence your business much or even at all. It is less risky to target many long tail queries and is easier to get high rankings on Google for them also because it looks more natural for Google when your backlinks all have different anchor texts and different keywords. And the more natural your backlink profile and your link building campaign looks to Google, the easier it will be for you to get high rankings. And less risky. And even if you over-optimize several of your long tail keywords, i.e. get too many backlinks for some of them, and Google lowers your positions for those keywords, you won’t lose your business again since you’ll still have high positions for the rest! 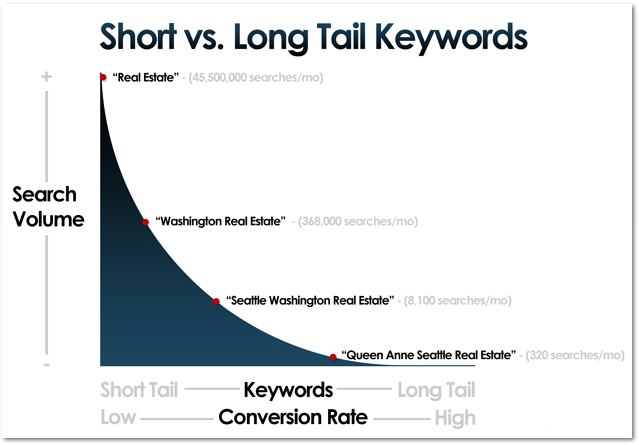 Additionally, long tail keywords have much higher the conversion rate! That’s why, the best keywords are long tail ones! Do you want to find out about other secret and very strong weapon that you can use against your competitors to outrank them and win the business? Sign up and you’ll start to receive our weekly emails with useful info and secret methods that you can use to beat your competitors and get #1 on Google. Select those search results for which you have already got at least some rankings (for example, you’re somewhere between #2 and #30 on Google) and build backlinks for these phrases. 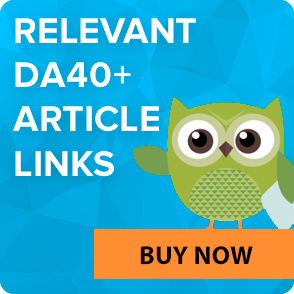 This will allow you to get up to 1,478% traffic increase and ROI for some of such keywords. 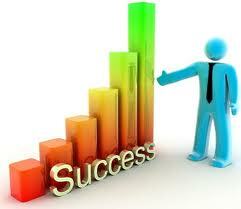 From the first look, main words that bring you not much traffic may look not attractive for you to invest in them. But if you’re #9 on Google for one such keyword and you get, for instance, 200 visits / month from it right now, then by acquiring some links for it and improving your ranking from #9 to #1 for this keyword. So, we recommend you to select and target those phrases, for which you’re somewhere between #2 and #30 on Google and acquire backlinks for these keywords in order to get #1 for all of them – even if those keywords don’t look very attractive to you right now. How to find those keywords, for which you’re somewhere between #2 and #30 on Google? Create as long list as possible with as many long tail queries as possible. For this purpose we recommend you to use Free Google Keyword Tool. Submit your most important items that best describe your business in this tool and get suggestions from Google in regards to what other related words you can use. Sign up free over here and submit your website URL and a list of all of your generated search results including all you’ve got! Make an export to an excel file and then select only those, for which you’re somewhere between #2 and #30 on Google! Woala! Now you can start acquiring 3-5 backlinks a week for these main phrases in order to get #1 on Google for them and increase your traffic up to 1,478% for each of them! If you’re new to SEO, then we also recommend you to check out this 21 Steps Guide on How to Get #1 on Google. 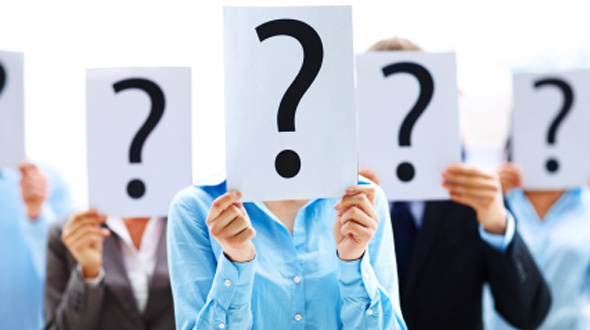 We are eager to know your tricks and methods of choosing the most winning keywords for your website. All your ideas and comments are welcome below this post.